Do you have crumbling or just plain ugly concrete? 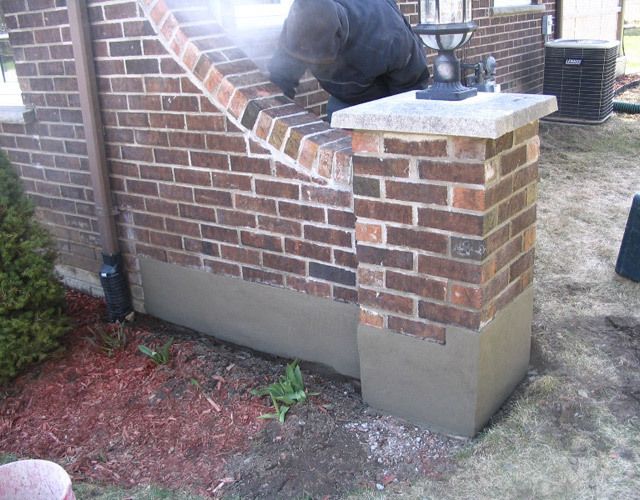 Especially around the foundation of your masonry home, a covering of masonry can improve unattractive concrete or help waterproof an outer wall. See this process - called parging - and the results here. Want to know more about how parging can improve the exterior of your concrete foundation? Contact Casa Loma Masonry in Markham.